This unique lantern, featuring the constellation of Ursa Major (also called the Big Bear), is completely handcrafted by ceramic artist, Jason Lachtara. Ursa Major is unique in that it a portion of the constellation is made up by the Big Dipper. 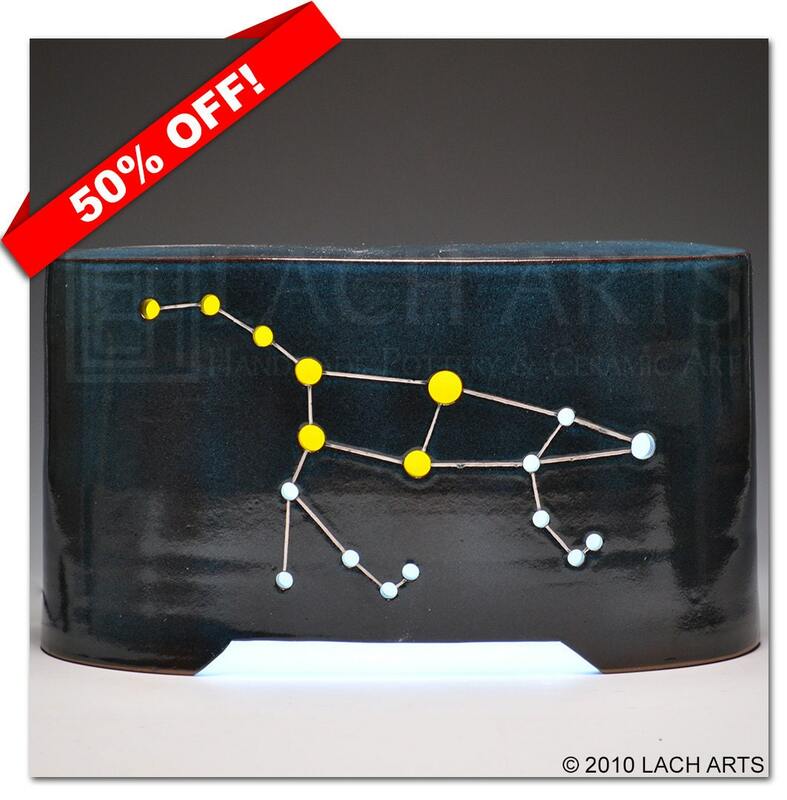 Though most people believe the Big Dipper to be its own constellation, it is actually a part of the larger Ursa Major. This phenomenon is known as an asterism. Stoneware clay, thrown on the potters wheel, makes up the body of the lantern, while stained glass is kiln-formed into the piece for a perfect fit that is then siliconed to provide weather resistance. Lit with long-lasting LEDs, this one-of-a-kind, illuminated art piece will last for years. It is perfect for indoor and most outdoor environments.